The U.S. Women’s National Soccer Team celebrates victory in the 2015 FIFA World Cup (photo via US Soccer). 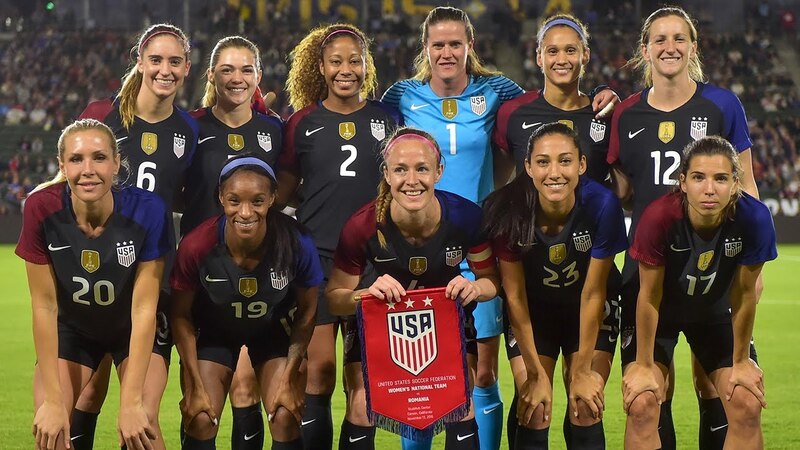 On March 8, the U.S. Women’s National Soccer Team filed a lawsuit against the United States Soccer Federation, claiming gender discrimination. This was only the most recent step in the team’s two-year old fight for more equitable resources, a fight that has inspired women athletes to push for change in other sports as well. The National Women’s Soccer League begins its fifth season this week with markers of success that eluded the two failed U.S. women’s professional soccer leagues that predated it. Perhaps first and foremost is the league’s longevity. Both the Women’s United Soccer Association (2001-2003) and Women’s Professional Soccer (2009-2012) folded after three seasons. With no sign of impending failure, the beginning of a fifth season for the NWSL bodes well for this league’s ability to break into the national sporting imagination. Currently, when I ask the undergraduates I teach to name a women’s pro sports league, they are only able to recall the Women’s National Basketball Association (WNBA). This could change in the future, but only with a league that lasts long enough to build a national profile.